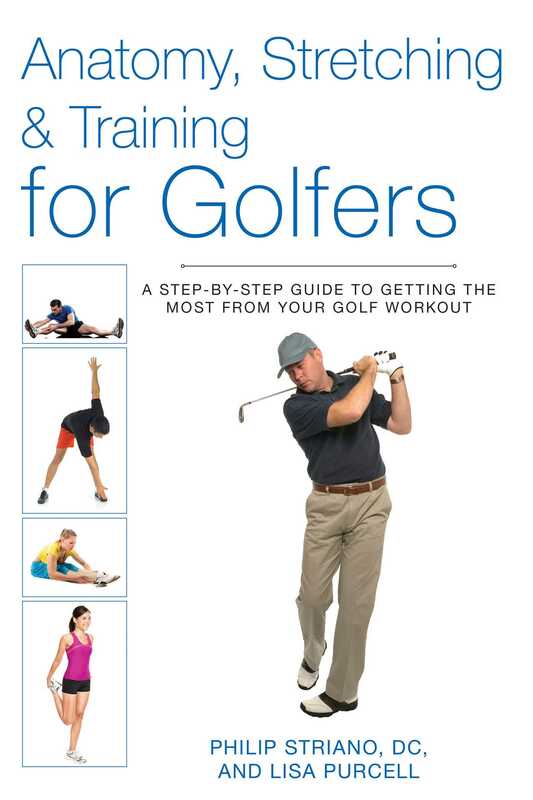 With training tips, exercises, and injury remedies, this is a book that every golfer and coach should have! There are few things more satisfying than a great round of golf. But the joy and thrill of golf are often marred by injuries that can bother you for weeks and ruin your game. A strong, fluid golf swing uses muscles in the legs, hips, lower back, and shouldersall areas prone to serious, painful injury. That’s why every golfer needs to read Anatomy, Stretching & Training for Golfers, which offers expert advice on how to maximize your game without the risk of getting hurt. Taking you through stretches that both warm you up before a game and cool you down after, Dr. Philip Striano focuses on working the primary muscles involved in the mechanics of the golf swingstance, backswing, transition, downswing, and follow-throughas well as the secondary muscle groups that help support and balance you. Alongside each exercise are detailed, true-to-life anatomical illustrations showing which muscles of the body are targeted. A handy guide lets you know the exercise’s benefits and cautions, along with tips on perfecting your form. With a series of sample workouts that show you how to devise a training program to suit your unique goals, Anatomy, Stretching & Training for Golfers is the ultimate reference for anyone wanting to improve their game by improving their fitness.